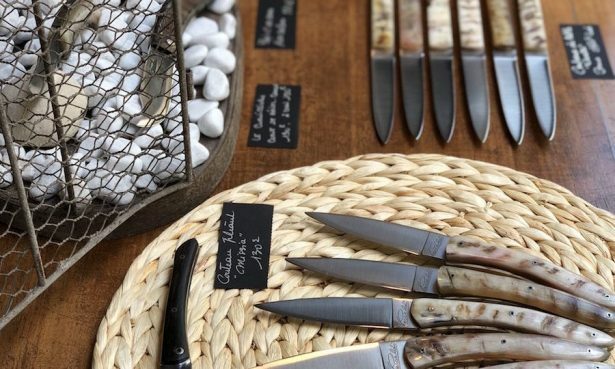 On the mountainous French island of Corsica, situated in the Mediterranean just north of Sardinia, the Ceccaldi family has been making knives for 40 years. The family trade started with patriarch Jean-Pierre Ceccaldi, but in a way, it started centuries ago. Corsican knives have long been admired for their craftsmanship and utility. One classic style, the elegantly curved shepherd’s knife or curnicciulu, is said to date back to antiquity. But with the advent of industrialization and mass production, these traditions became endangered. Jean-Pierre studied Corsican knife-making under Paul Santoni, who was one of the last remaining Corsicans who knew the ins and outs of traditional craftsmanship. In 1978 Coutellerie Ceccaldi began production out of Jean-Pierre’s home in the village of Zoza. Jean-Pierre got his start making traditional shepherd’s knives. Demand for his exquisitely crafted curnicciulu led to expansion—both into new lines of knives, and into a larger workshop in the town of Porticcio. That’s where Jean-Pierre continues to make knives today, and where his sons Sylvestre and Simon have learned the family trade. 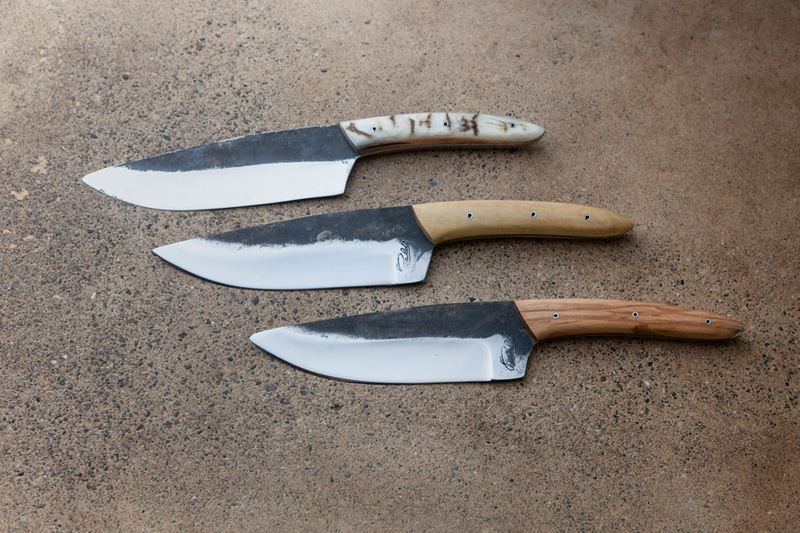 The Ceccaldi family’s knife-making practice is still rooted in creativity and craftsmanship today. In addition to traditional shepherd’s knives, they produce kitchen knives, table knives, pocket knives, and cleavers. Ceccaldi knives are hand-forged, then placed in an incredibly hot oven and immediately cooled, a process called quenching. The quenched blades are heated in a low oven to strengthen the steel, then ground and polished. These traditional methods not only lend sharpness and durability, they imbue the knife with character and soul. Their handles are crafted from a wide variety of natural materials, including wood, horn, and precious metals, and often engraved as a special touch. Ceccaldi’s pursuit of excellence dovetails with our mission to offer high-quality, thoughtful, and beautiful products that will last a lifetime. We consider ourselves fortunate to carry their horn, olivewood, and walnut knives on our website. Ceccaldi’s knives exemplify one of our core beliefs at SHED: that the objects we bring in our home should not only get the job done, they should inspire us every time we use them.